When did Mayberry turn into Potterville? 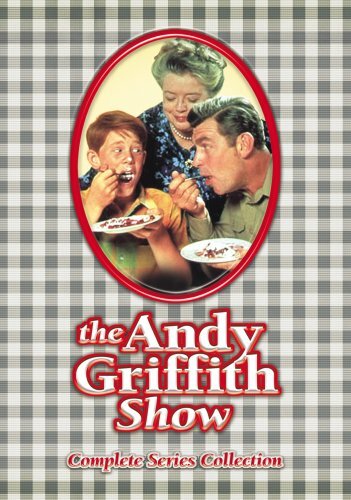 In The Andy Griffith Show‘s fifth season, Opie (Ronny Howard) buys silk stockings for an older woman, and publishes all of Mayberry’s gossip in a scandal sheet. Sheriff Andy Taylor (Griffith) is accused of gross malfeasance. 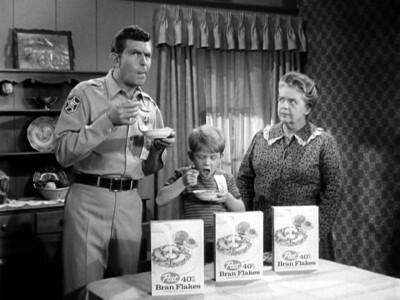 A former beau of Aunt Bee’s tries to shake Andy down for $400. Bee herself (Frances Bavier) is a victim of a carny purse-snatching ring. And recidivists Otis (Hal Smith) and Ernest T. (Howard Morris) continue their drinking and rock-throwing unabated. As Bee wails in “Banjo-Playing Deputy,” “What’s this world coming to?” Not to worry. 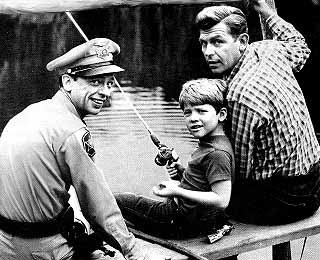 This is, after all, Mayberry, and Andy still has the patience, understanding and country smarts to restore calm and order. In “TV or Not TV,” he sees through bank robbers (led by Gavin MacLeod) posing as a Hollywood film crew. In “Opie and the Carnival,” he takes aim at two crooked barkers who have rigged a sharpshooting game. 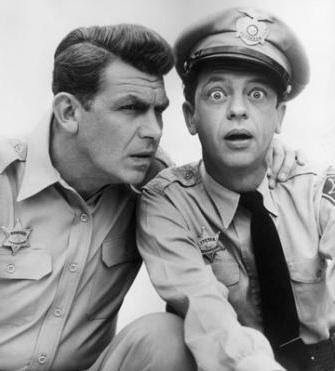 As the sheriff of Mayberry, much of his time is spent bailing out his hapless deputy, Barney Fife (Don Knotts). In “Barney’s Uniform,” Andy recruits a judo instructor to stand in when Barney is threatened by a disgruntled citizen. 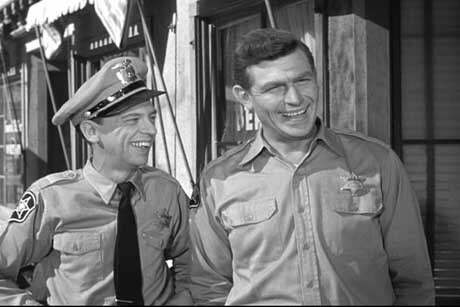 Ask a certain portion of diehard Andy Griffith Show fans why the series’ sixth season (1965-66) is less well-loved than others from its eight-year run, and the answer boils down to four words: “Warren Ferguson” and “color episodes.” Played by veteran comedian and writer Jack Burns, Warren was the replacement for Don Knotts’ Barney Fife as Andy’s sheriff, and lasted for just eleven of the season’s 30 episodes before vanishing without a trace. 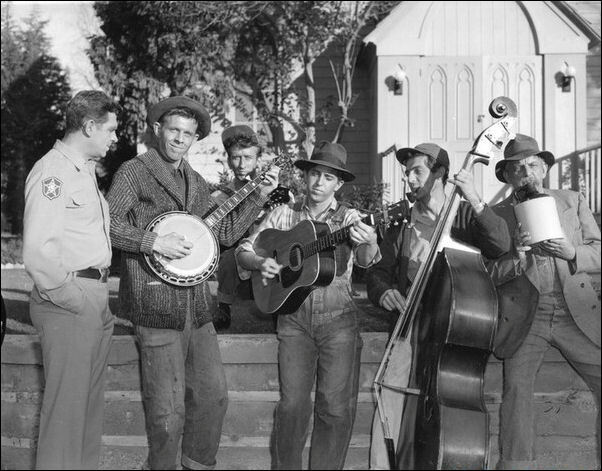 The brickbats heaved at Warren are undeserved, though; replacing the multi-Emmy-winning Knotts was a task that few performers would have relished facing (and indeed, Knotts earned another Emmy for his return to the series in two episodes, “The Return of Barney Fife” and “The Legend of Barney Fife”), and Burns certainly gives his all (including his signature, rapid-fire “huh-huh-huh” gag line) to the character. He’s no Barney Fife, and who could be, aside from Knotts? 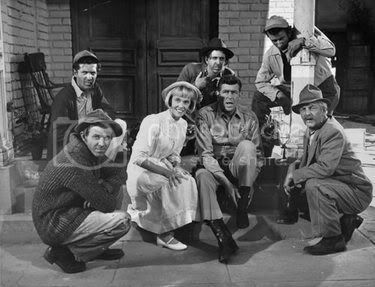 As for the color issue, the debate seems to be centered entirely around preference, although it’s true that in syndication, viewer response has been traditionally stronger to the black-and-white broadcasts of seasons 1-5.